On Tuesday morning, May 29, 2018, the Iranian armed forces shot and fired to a group of border porters along the Sheno and Sidakan borders. The shooting resulted to the death of one porter and a severe injury to another. 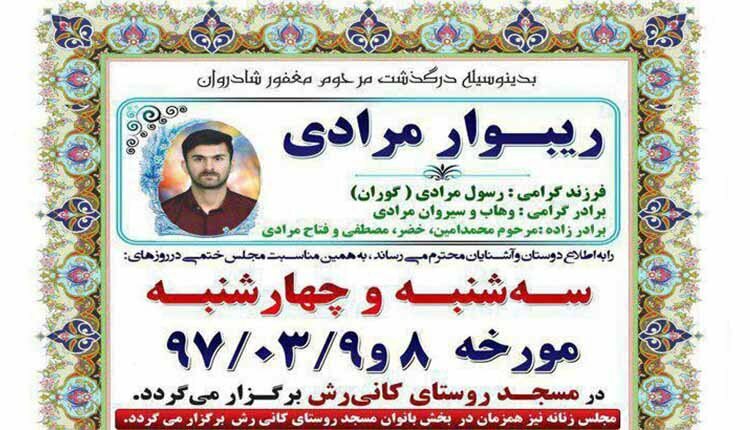 The deceased porter was identified as Ribar Moradi, a 28 years old who was married and had a child.